This charity was formed in the mid 1980’s when local DJ, Tim Grundy, found that the thing most disadvantaged children are missing is a holiday. He wanted to give those who have faced challenges in life with the chance to get away and have some fun! 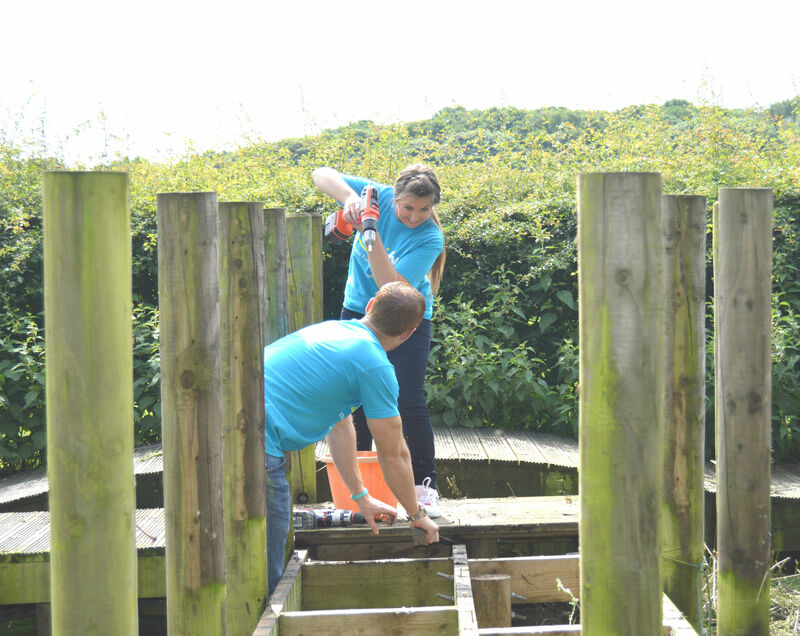 The farm is built for people of all ages and abilities and everything is accessible for wheelchair users. Some features of the farm include a sports hall which was funded by the National Lottery, a trampoline with a specialised harness to lift those children or teenagers with restricted movement and a climbing wall. On site there’s also a sensory room, music room and lots of animals for the guests to interact with. 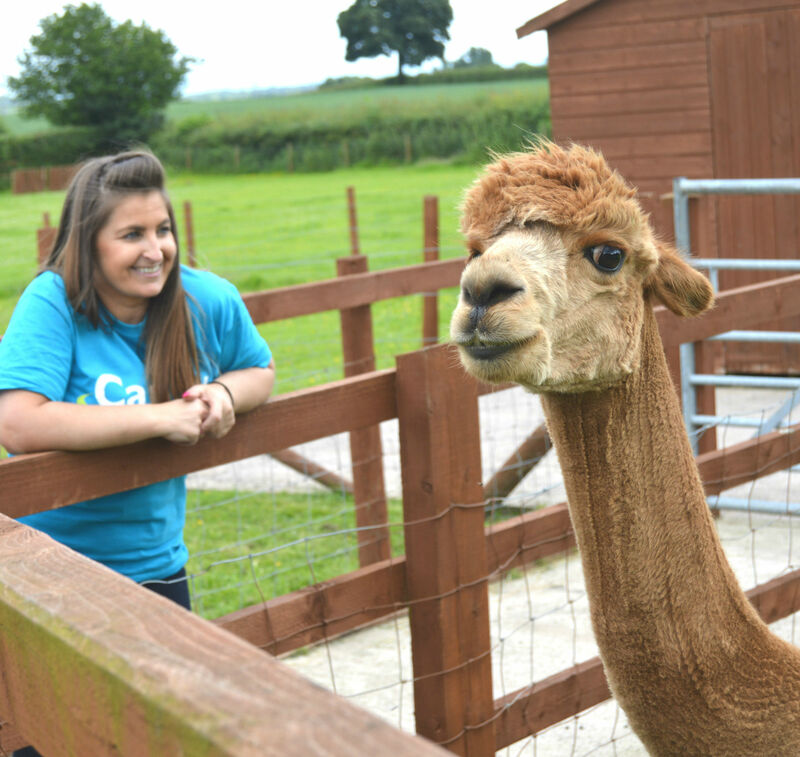 No wonder it’s called the adventure farm with so much to do and see! Generally, children and their carers spend a total of four days at the premises. It’s always small groups that are invited (maximum 26 with carers), so they can receive the attention deserved and get to do and see everything. The holiday is completely free and also includes a day off site where the children get to visit places such as Blackpool or Gulliver’s World. The Children’s Adventure Farm Trust also offers parties for 5 weeks over the Christmas period where they turn different parts of their building into a Santa’s grotto, old fashioned sweet shop and offer turkey dinners for all those involved. 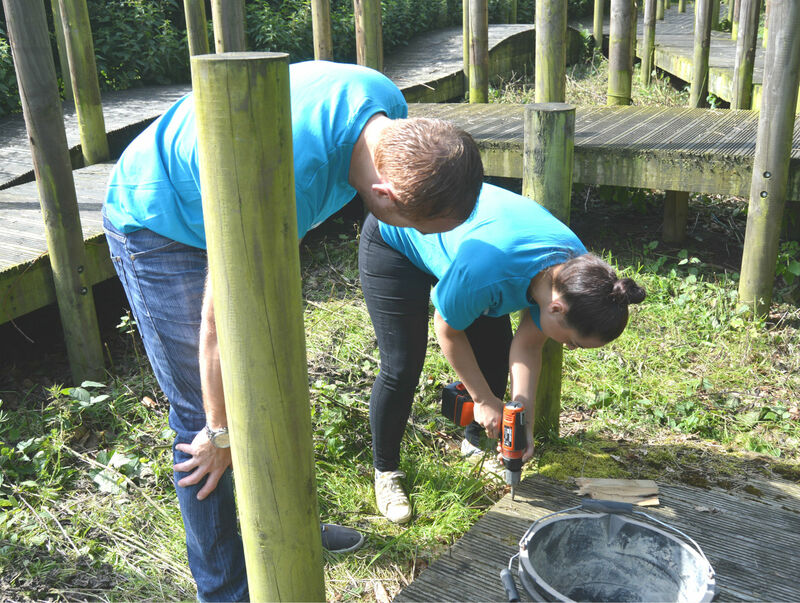 At the farm they rely on donations to keep going, but not only this, they also need volunteers to help them out. 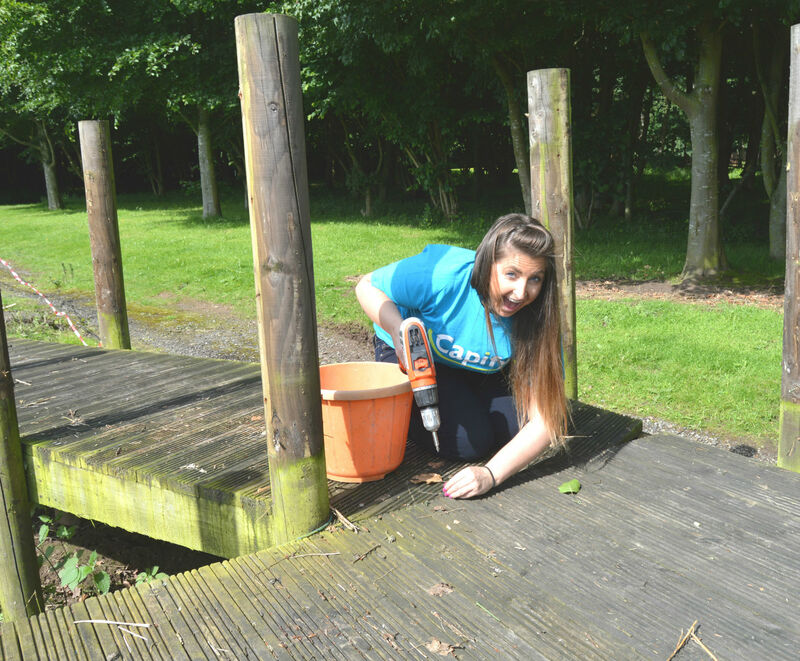 A few of us from Capify went down to spend a day learning about the charity and doing some maintenance on the grounds. 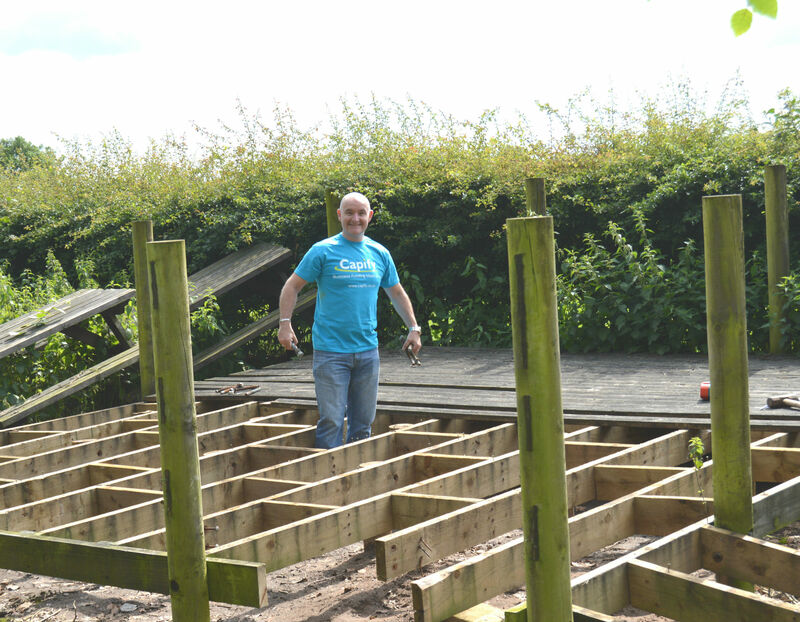 They had a stretch of decking which was put in a few years ago, however it wasn’t very used and they thought the land would be better for something else. The Capify team we’re let loose on the scene and spent the day dissembling it. 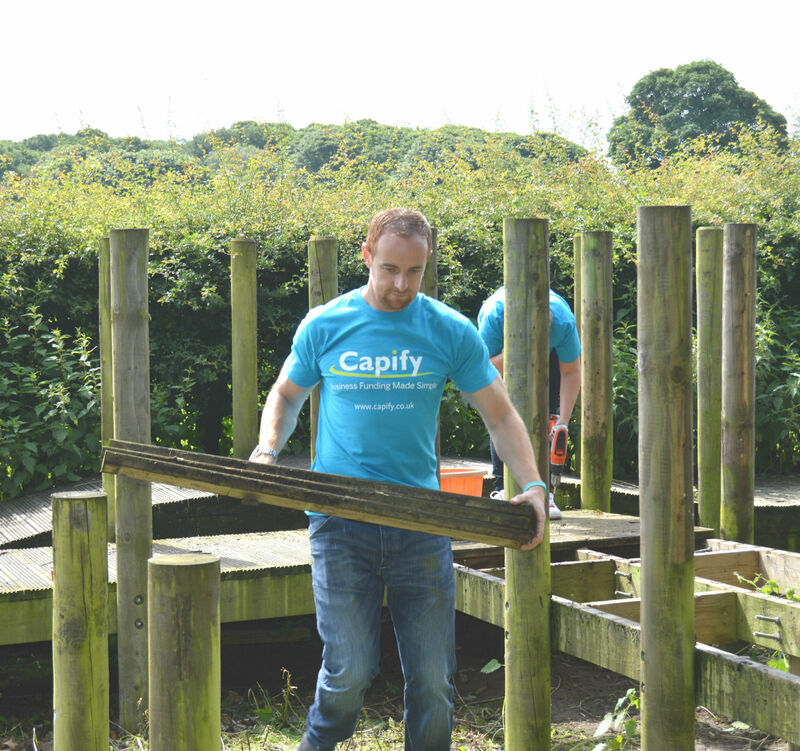 We managed to get through a lot and we all felt great at the end of the day, not only had we discovered DIY skills we never knew we had, we also helped an amazing charity. There’s already so many fantastic things on site, I’m sure they’ll come up with something equally magnificent for the children to go in this space. 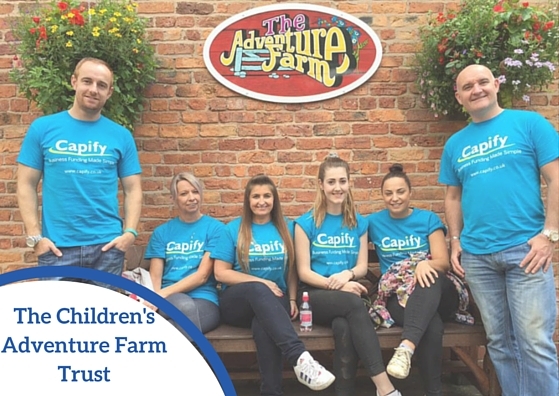 The Children’s Adventure Farm Trust is a wonderful charity; they set out to provide disadvantaged children or those with life limiting illnesses the holiday of a lifetime and that’s exactly what they do. If you would like to find out more about the charity or donate, click here.